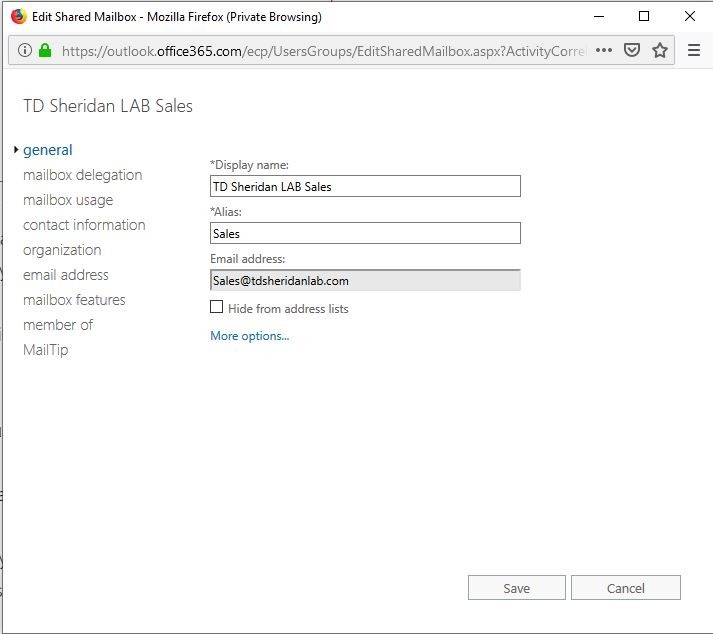 Shared Mailboxes are the service account equivalent to service accounts in Exchange Online/Office 365. 9 out of 10 times they are the backend for every Sales@ or info@ email address you see on the web. Now lets go configure one. If you want to watch the video go for it, otherwise the step are outline below. Get to the Exchange Online Admin portal and log in with an account that has exchange administrator role. Once in the Exchange Online Admin Center go to Recipients > Shared. 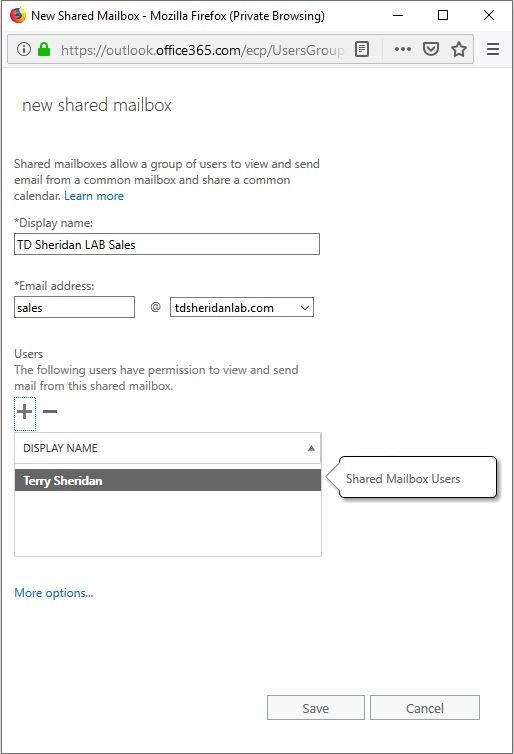 Click the + To create a new Shared Mailbox. 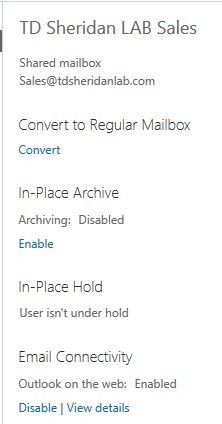 First Configure a Display Name, this is the friendly name that shows up with sending email from the mailbox or when you add it to your outlook profile. secondly add an email address to the shared mailbox. If you need to add more you can after the mailbox is created. Lastly specify which users can access this mailbox. Then click Saveto create the mailbox. 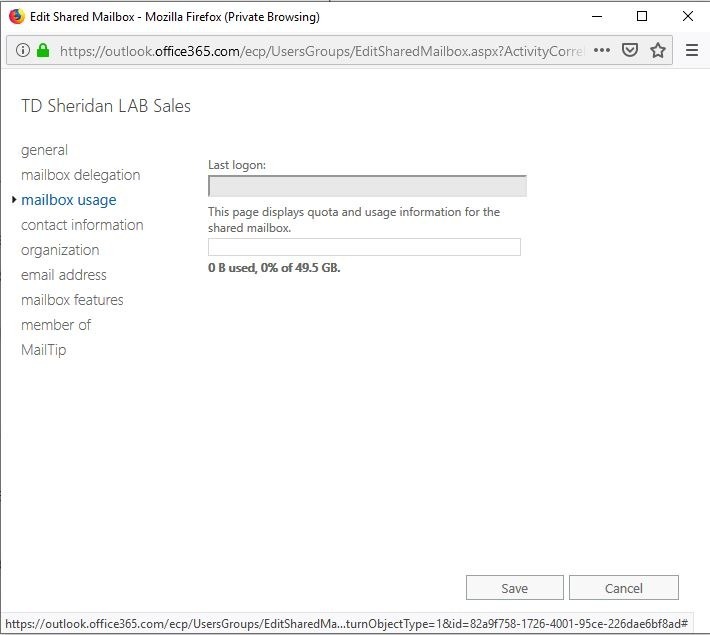 *Fair warning* normally when everything this is working perfectly with Office 365 then it will take a solid 5 minutes for new items to actually be available. Sometime this will error and take longer. On the General Page you get the general information about the shared mailbox. 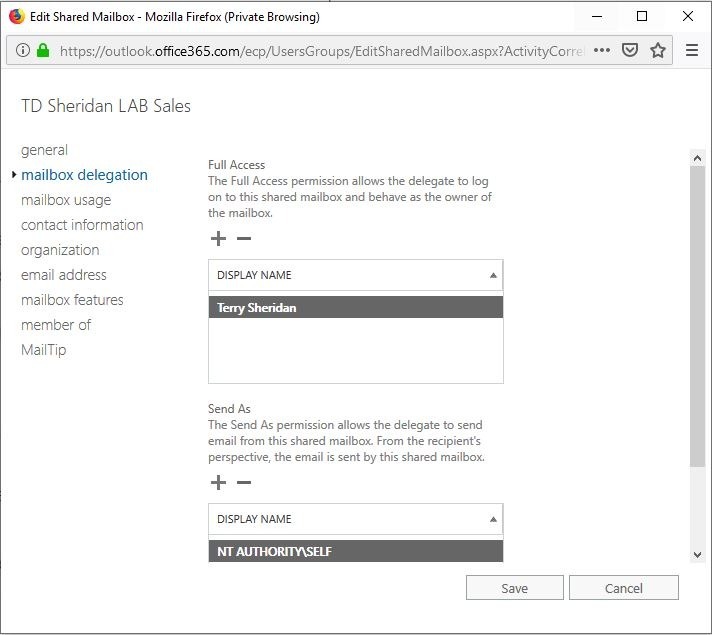 On the Mailbox Delegation page you can add or remove access to the shared mailbox. On the Mailbox Usage tab you can see how much space is being used. On the Email Address page you can add or remove SMTP addresses as need on the mailbox. 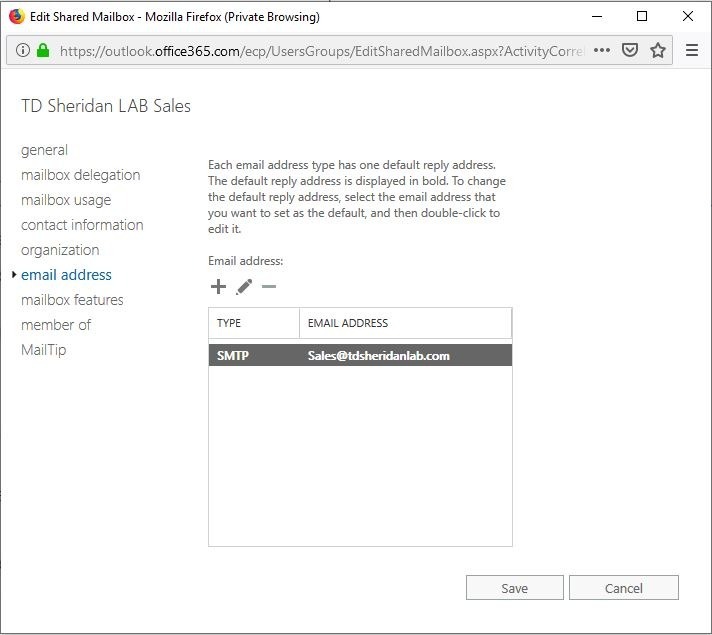 Lastly in the event you need to convert a shared mailbox to a regular mailbox or the other way around. the option is on the right side of the shared mailbox screen. And that wraps up shared mailboxes. Feel free to leave and questions or comments below.